Here are some things that I would recommend you have in your technique when playing a fairly straight forward chip/pitch. First of all what I mean by a basic wedge shot is going depend on things like the lie – You want the ball sitting on a reasonable lie and not in an old divot or sat up too much on fluffy long grass or buried in thick rough. The topography (landscape) – enough room between the edge of the green and the pin to land the ball with a normal flight and not be short sided. The stance lie – not an extreme uphill or downhill lie or an extreme side hill lie. Of course I am well aware that we do not play on flat courses and have straight forward shots all the time but I just wanted to point out that what is written below may have to vary a little if some of the lies, stances and shot requirements get exaggerated. The set up – I think good wedge shots are easier from a fairly square stance that is not too wide as opposed to a big open stance. It is a bit easier to control the angle of attack and swing path. I would also prefer to see the ball more in the middle of the stance as opposed to too far back although as I mentioned earlier perhaps we would move this positioning for some of the exaggerations that may occur. Perhaps having a fraction more weight on the front foot at address as we are not looking to move the lower half too much in these sort of shots, however I would avoid over doing this for a normal shot as once again it can affect control of the angle of attack too much. Swing action – In simple terms if we can consistently deliver the club back to the ball in a similar position to how we had it at address in our basic action then we have a great foundation to become a good wedge player. I think this is best achieved with a synergy of arm swing and torso rotation, they both need to keep moving through impact together. Although there may be a bit of wrist hinge in the backswing/downswing to facilitate leverage it shouldn’t be too much at this stage. Also the lower part of the body will not move any more than it needs to accommodate the arm and torso movement. It is common to see the torso stop at impact and the hands continue the clubhead movement creating a scooping or flipping motion, this is often as a result of trying to “keep the head down” or “trying to hit down”. The angle the club descends into the ball for these basic shots will ideally shallow and definitely not too steep. A good image here is a plane coming into land on a runway. 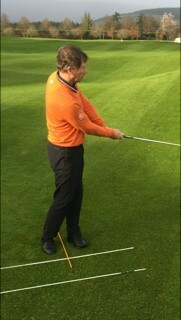 One last point is the rhythm of the swing will be smooth especially the transition phase (backswing to downswing) however all good wedge players seem to have confident acceleration through the impact stage but remember this comes using torso and arm swing not from suddenly flipping the club-head through impact with the hands. 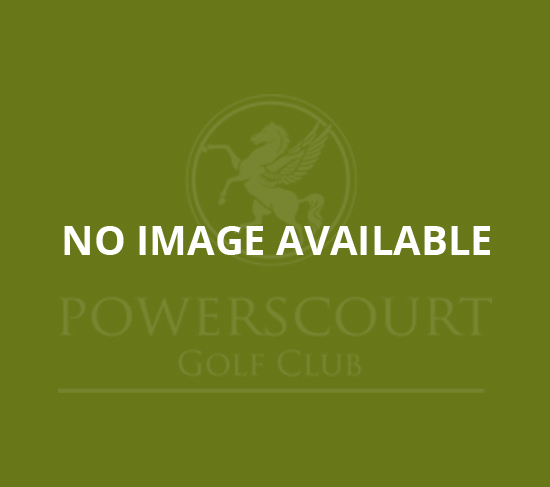 Paul Thompson has been the Fellow PGA Professional at Powerscourt Golf Club in Wicklow since 1995. 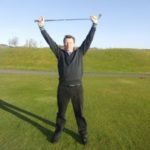 In addition to providing coaching on-site he also is a coach with The Golfing Union of Ireland. Appointments with Paul can be booked via Powerscourt Golf Club Reception: Tel (01) 204 6033 or the Golf Shop Tel (01) 204 6031. Read more about lessons from Paul Thompson by visiting the Powerscourt Golf Club Website.